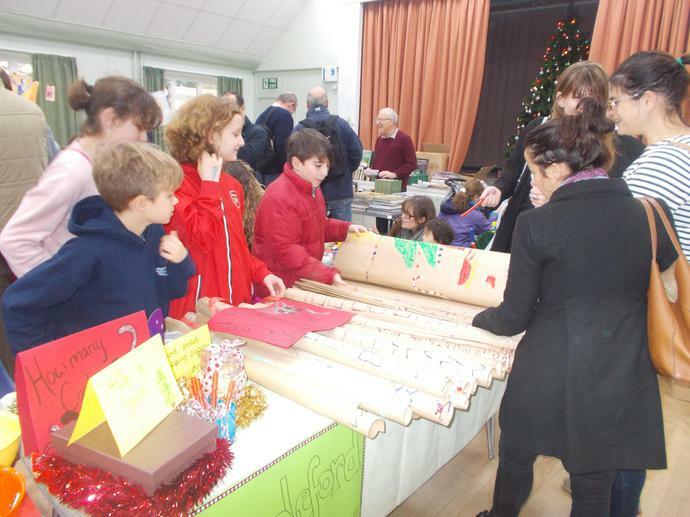 On Saturday 5th December, we sold handmade wrapping paper to raise money for Nachingwea. 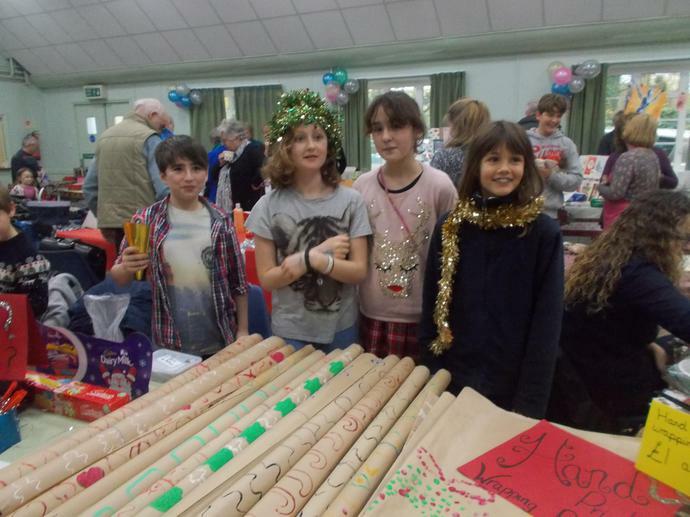 The wrapping paper was made by Years Five and Six. It took a lot of work but we managed to make over 60 sheets! 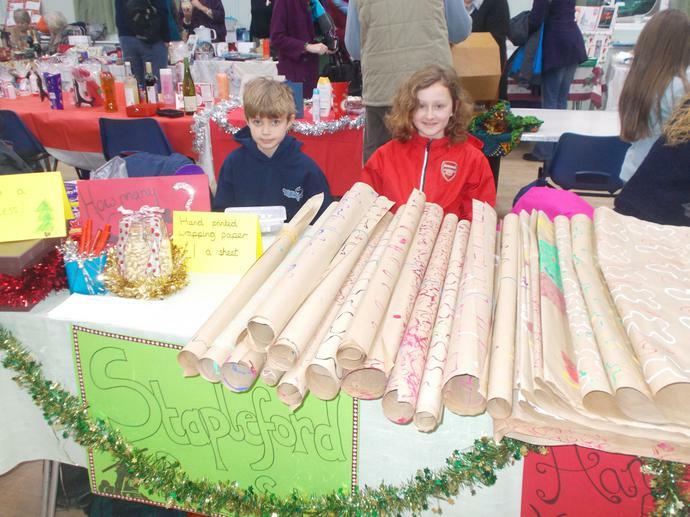 We sold it at £1 a sheet at the Shelford Memorial Hall. We also ran a 'How many cashew nuts are in the jar?' competition. 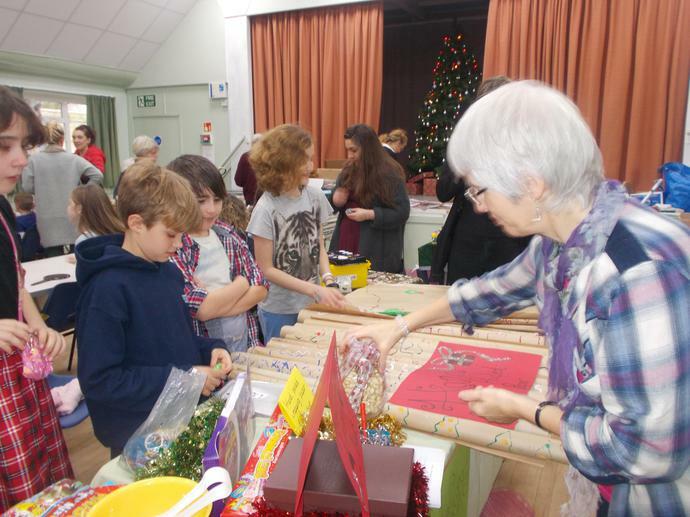 Amazingly, our stall raised over £50 and the cashew nut competition was won by our very own Mrs Stevens (there were 433 cashew nuts in the jar and she guessed 485)! The best thing was that every single stall there gave all the money they raised to the Nachingwea project. 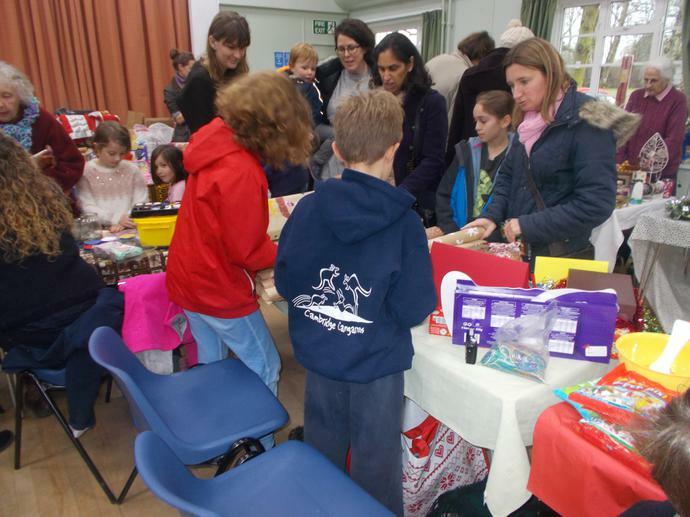 Not only was there our wrapping paper stall but there was also a raffle, a soap stall, food and drink, a sweet stall, face painting and a recycled toy stall. 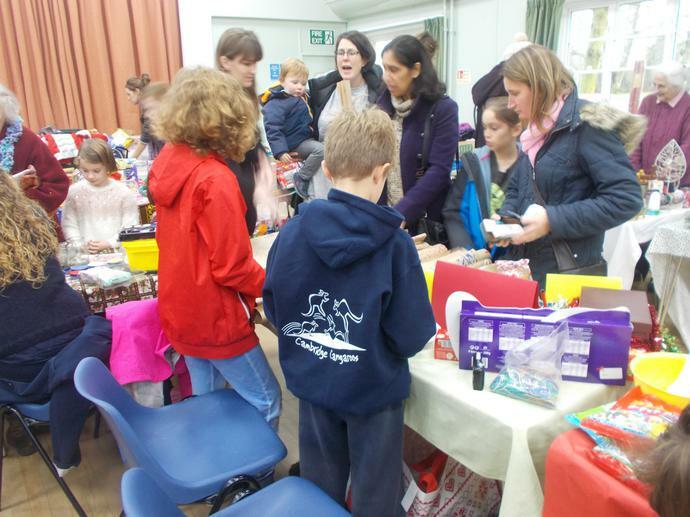 (Our payment was sweets from our teacher, Miss Wright). We met some of our teachers from our school such as Mrs Stevens and Miss Clarke. 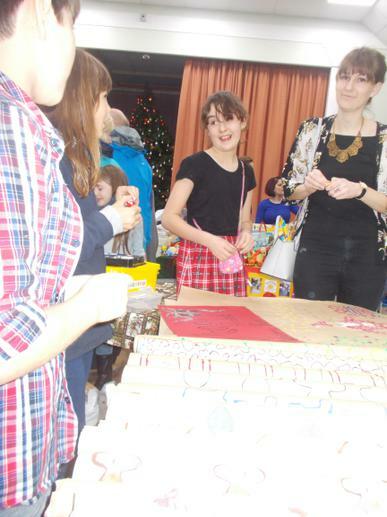 We did this stall with the help of Miss Cooper and Miss Wright. They stayed there the entire time! In fact we did so well that we nearly ran out of wrapping paper!